I also wanted to express my gratitude to YOU for all the support you have shown to my website over the past few years. I hope you had a fun filled day spent with family yesterday and got a chance to reflect and express gratitude. You’re not alone. Americans across the country are unbuttoning their pants, finding sneaky ways to hack their scale, digging out their looser-fit clothing, and generally feeling guilty. But there’s no reason to feel guilty. It was a holiday! This particular day only comes around once a year, so give yourself permission to enjoy, then move on. The best way to move on? Flip it around and focus on RECOVERY, DETOX and POSITIVE ACTION as we move into this festive holiday season. TIP #1: Drink lots of water. Your body is likely slightly dehydrated after eating all those high-sodium foods and desserts. So start the day off right with at least 8 oz of water immediately. Keep a big bottle without you at all times and drink up often throughout the day. TIP #2: Start your day with movement. Whether it’s a 5-minute cardio routine alternating jumping jacks, burpees and squat jumps, or a walk around the block, one of the best things to do after a big meal like this is get in some movement immediately to jumpstart your metabolism. One of my favorite quick yet powerful workouts is hill sprints. But since I did hill sprints yesterday BEFORE the big meal, my legs are still sore so I recovered with a one hour walk around the lake at 8 am. It was great to get out and see all the other morning exercisers and I'm glad I did that instead of sleeping in. TIP #3: Drink a big superfood smoothie for breakfast. The smoothie I am currently drinking as I write this contains: frozen mixed berries, 1 banana, almond milk, chia seeds, cacao nibs, cashews, maca powder, and protein powder. Here is one of my all-time favorite superfood breakfast smoothies of all time: Super Simple High Protein Breakfast Superfood Smoothie. TIP #4: If you’re gonna cheat again, wait until tomorrow. I normally have my once a week “cheat day” every Saturday. That’s the day when I can eat whatever I want, including the high-carb dishes and sweets I try my best to pass up during the week. This week, of course, my big cheat day was yesterday for the big Thanksgiving meal. And I don’t feel the slightest bit of guilt about that. It’s the one day per year that we’re supposed to enjoy a huge meal with family, and who cares if it’s on a Thursday? 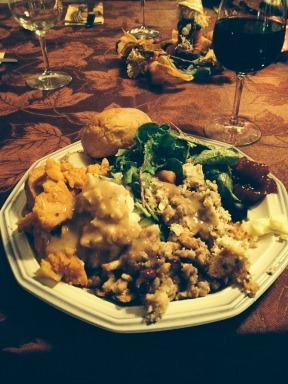 But now the problem is we’re left with all kinds of tempting leftovers. The typical thing to do is binge again the next day on all those leftovers, and then the next day after that and so on until all the leftovers are gone. This year I’m doing something different though: I’m treating today (Friday) like a normal weekday and staying away from tempting treats. I’ll eat my normal healthy, clean eating meals today and then TOMORROW is when I’ll give myself permission to cheat again. It may not be ideal—having two cheat days in a week instead of one—but I figure that by at least giving myself a full “buffer” day of healthy eating in between, it will help my body recover more so than if I cheated again every single day between now and Sunday. TIP #5: Wear a pedometer and get more daily activity! Now is the perfect time to start tracking your movement. Even if you’re hitting the mall today instead of the gym, you can find lots of opportunities to sneak in extra walking. Park your car at the far end of the lot. Take the stairs instead of the elevator. Walk more, and track it. 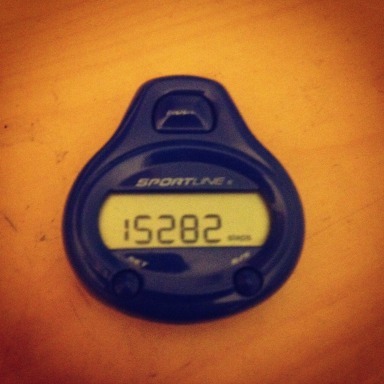 If you’re wearing a pedometer today, aim to get AT LEAST 5,000 steps today at a bare minimum. The recommended amount is 10,000 steps per day but that requires approximately 2 hours of walking or one hour of running. If you can’t do that, get as much as you can and track your progress throughout this holiday season. I have a FitBit on my holiday wish list this year, what about you? If you are going to eat your leftovers today, is there a way you can do so without breaking any healthy eating rules? Keep in mind that not ALL Thanksgiving foods are unhealthy, so you don’t necessarily need to skip the leftovers altogether in order to maintain your diet. Perhaps you could enjoy turkey (or tofurkey) with just sweet potatoes and a bit of cranberry sauce on the side…skip the rolls, creamy mashed potatoes, cheesy casseroles and desserts. If you’re too tempted or want to enjoy ALL your leftovers, not just a select few, remember Tip #4. You can always have it tomorrow, so see if you can delay your gratification until then. 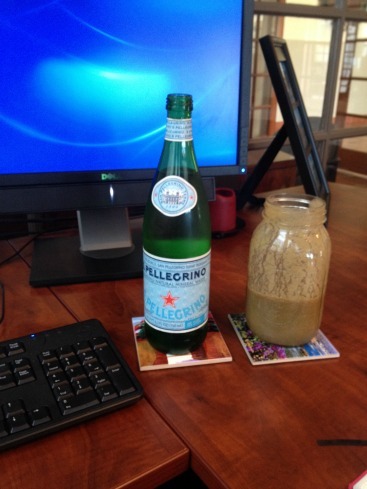 TIP #7: DETOX with a green smoothie! I have discovered as a result of my weekly cheat days that green smoothies are the perfect detox tool after any period of cheating, binge eating, or even just general splurging. Not only are the greens packed with nutrients and incredibly good for you, but consuming greens in such massive and easy-to-digest quantities seems to have additional healing powers, almost helping your body cancel out all the greasy or sweet junk foods you just ate. Any time I have pizza, sweets, or anything I know I shouldn’t have had, I drink a green smoothie and immediately feel better. 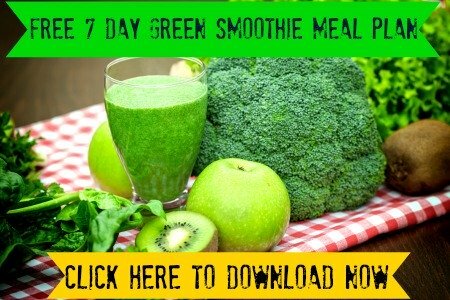 Quick and Easy Green Smoothie Recipe with step-by-step video instructions. 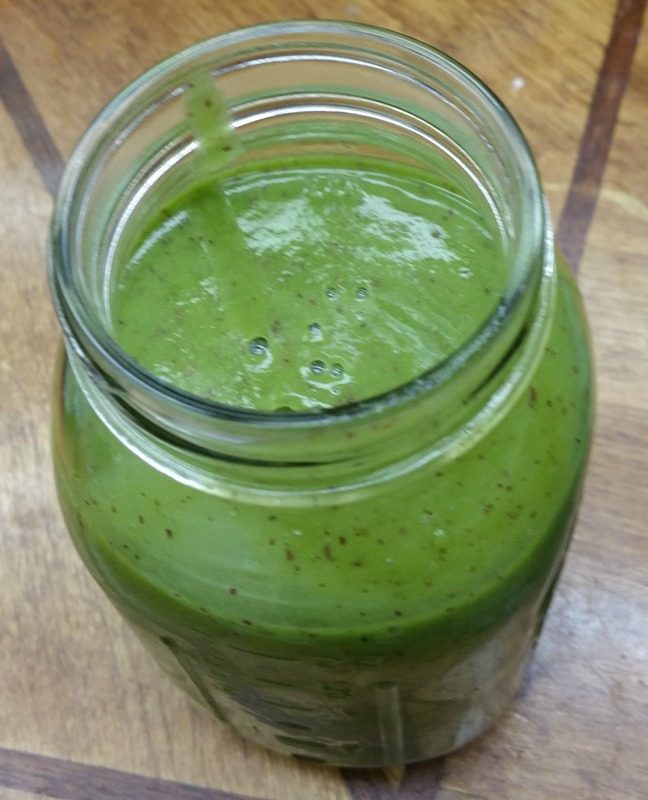 This is a perfect recipe to start with if you are new to green smoothies. What did you think of these "How To Detox Your Body" Tips? I hope you found these 7 tips for how to detox your body useful! Leave a comment below and let me know which one(s) you are doing and which one you found the most helpful!